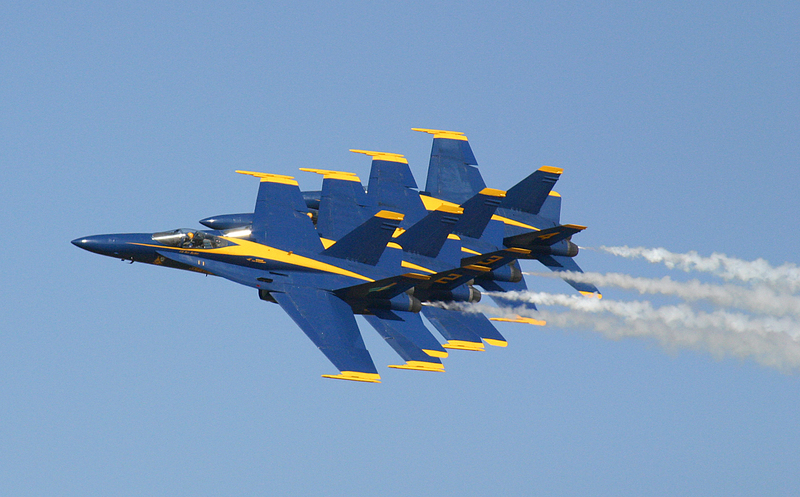 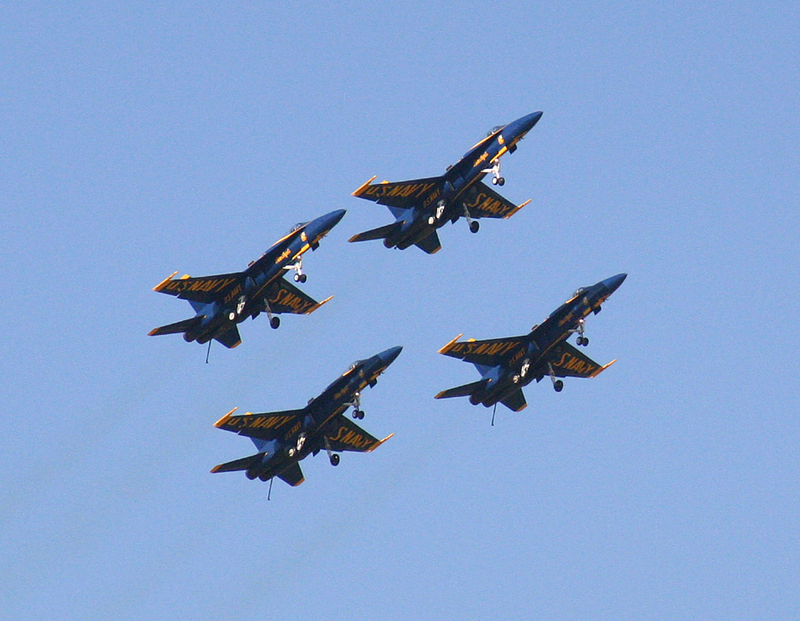 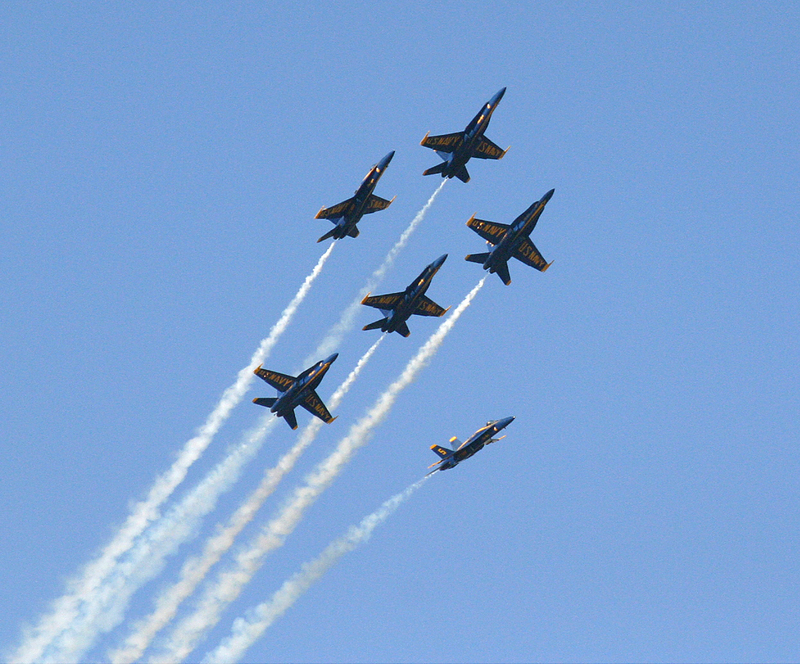 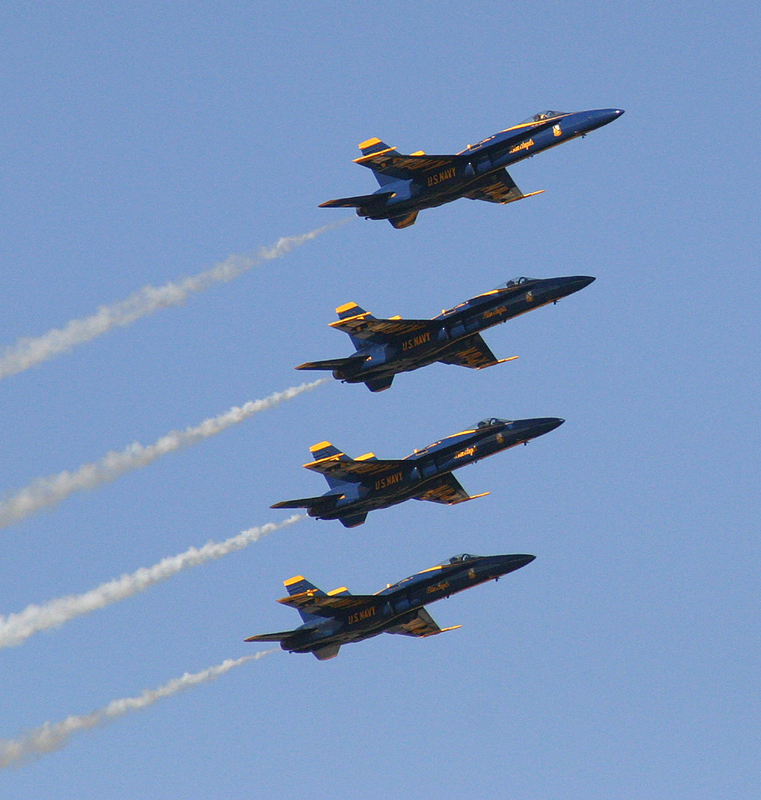 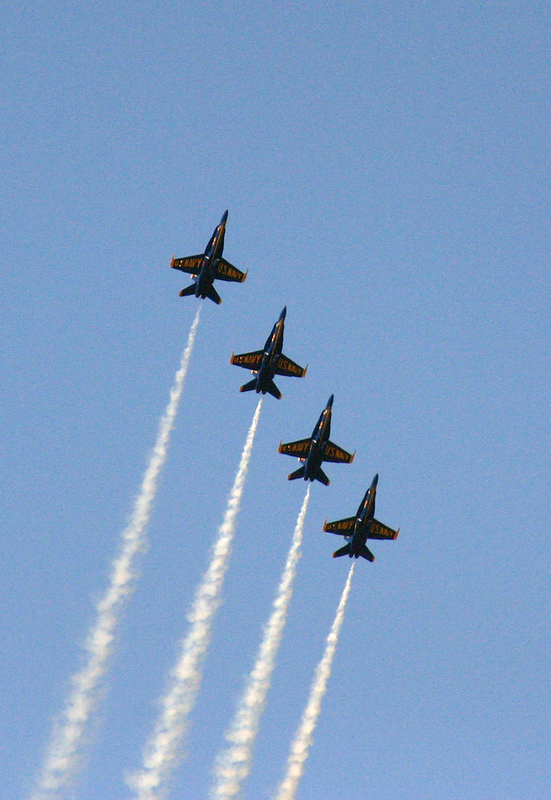 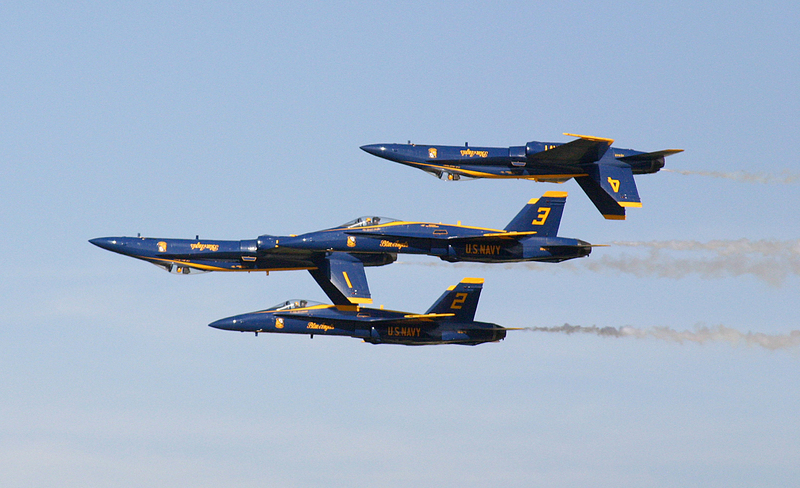 In a press release issued by the Commander Naval Air Forces the United States Navy Air Demonstration team Blue Angles cancelled the remainder of the 2013 season citing budget constraints. 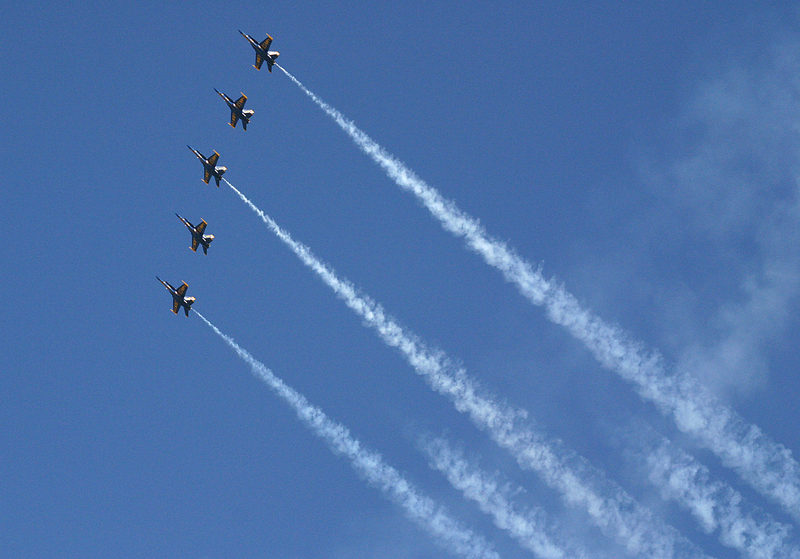 The team of six McDonald Douglas, now Boeing, F/A 18 strike fighters will continue to train for the remainder of the year at their home base in Pensacola, Florida. 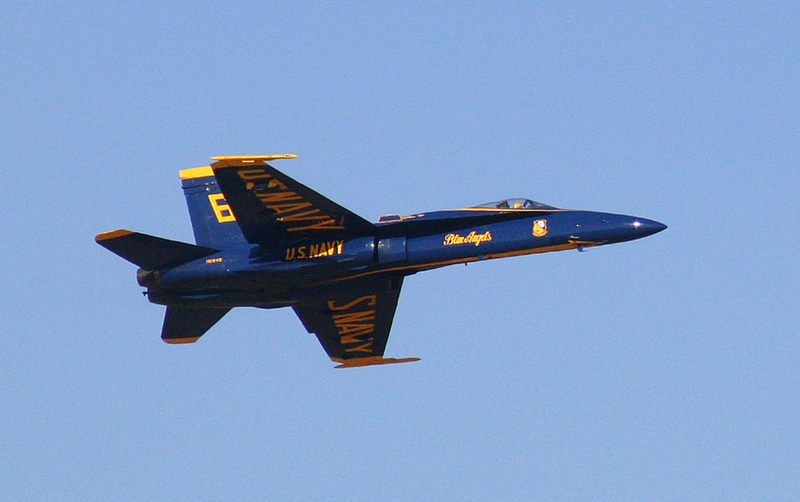 Blue Angels Commanding Officer Cmdr. 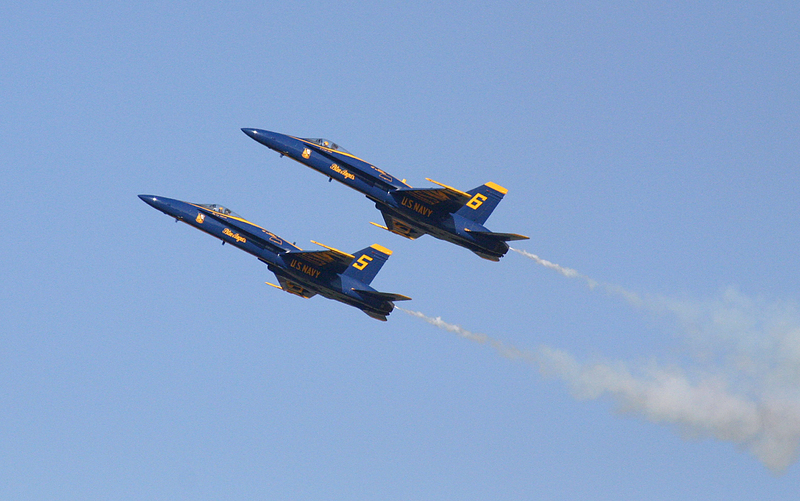 Tom Frosch called the decision “very disappointing” but hoped the team could fly in the 2014 season. 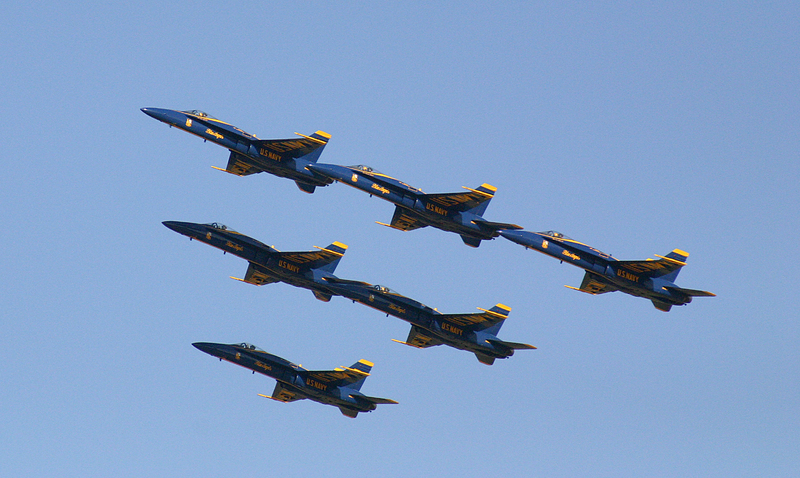 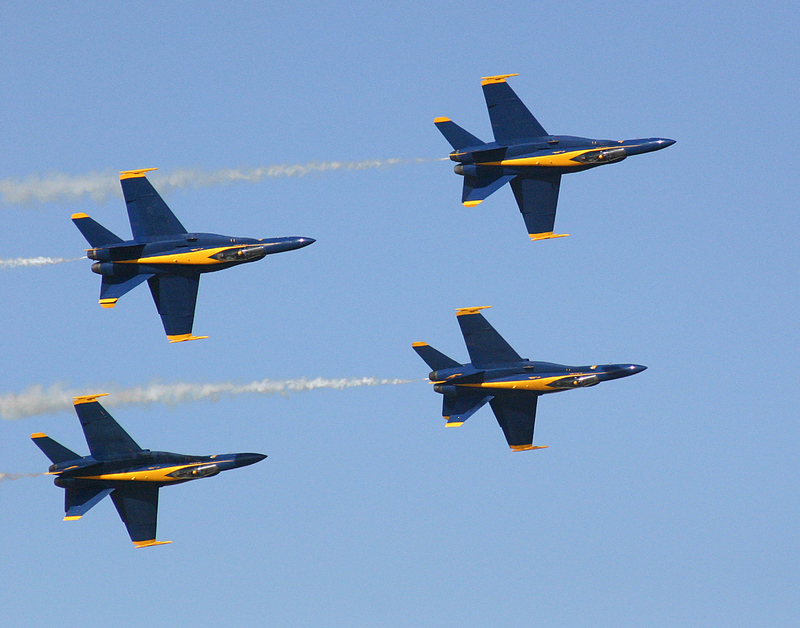 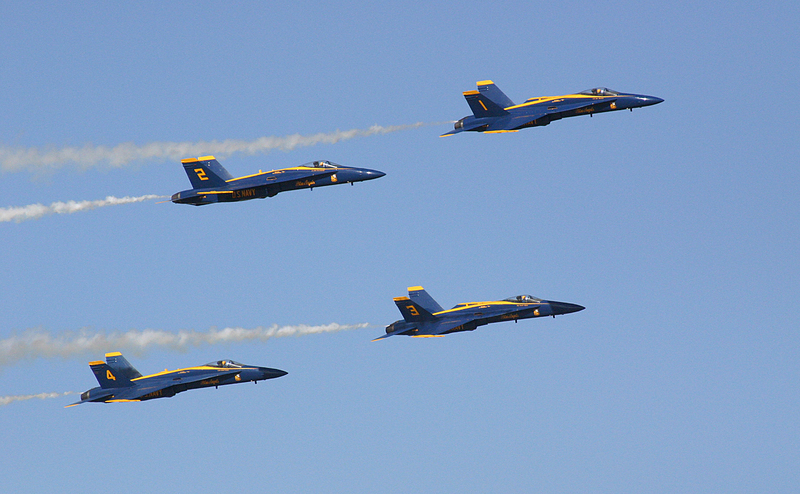 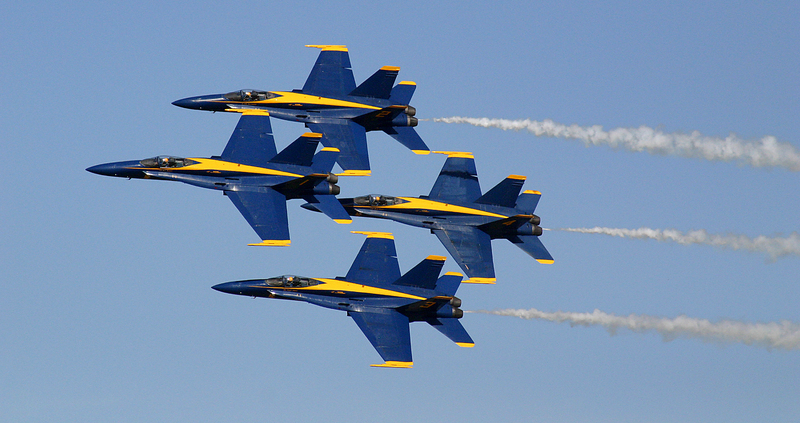 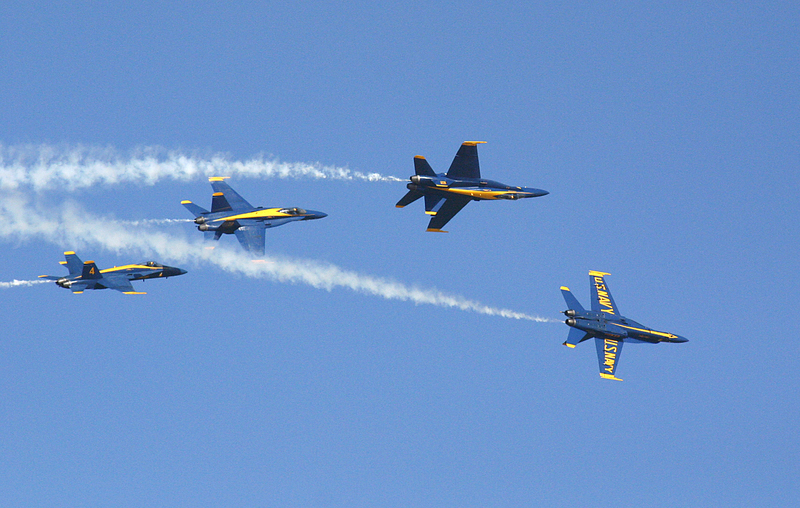 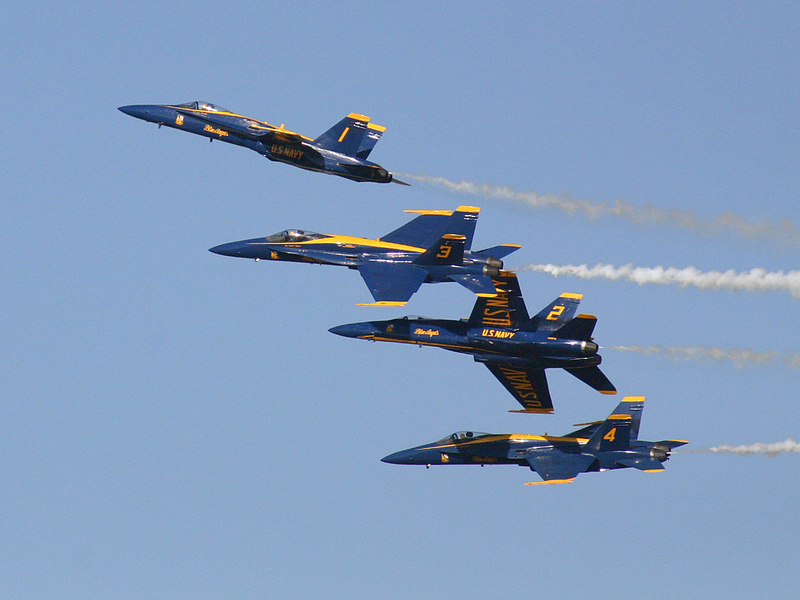 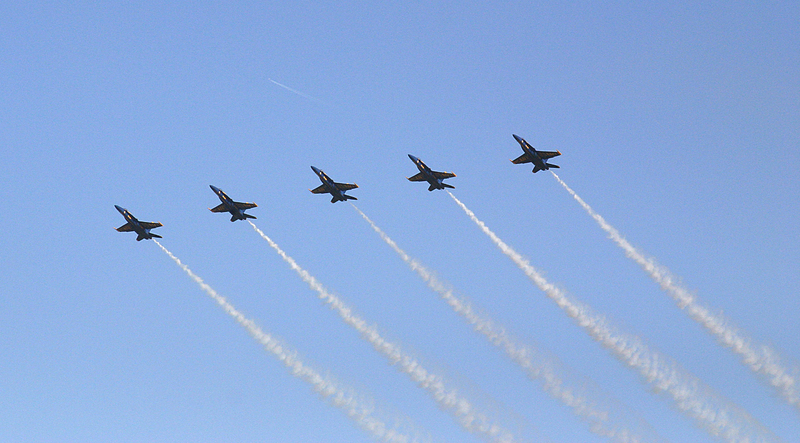 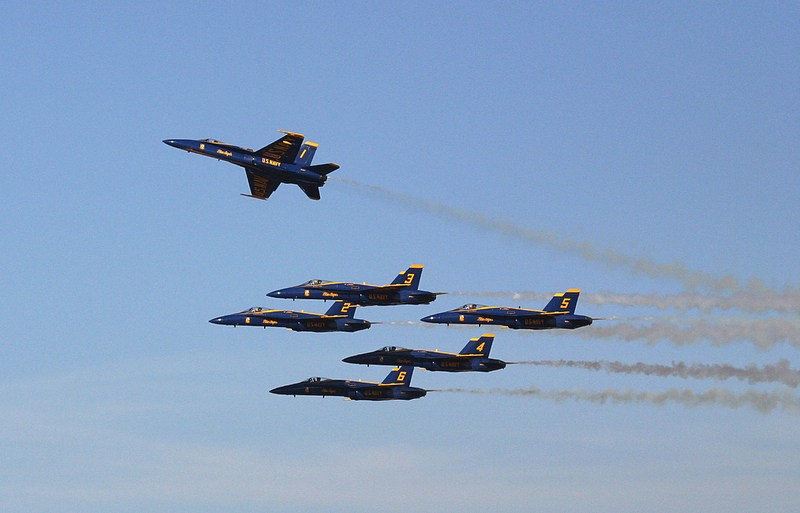 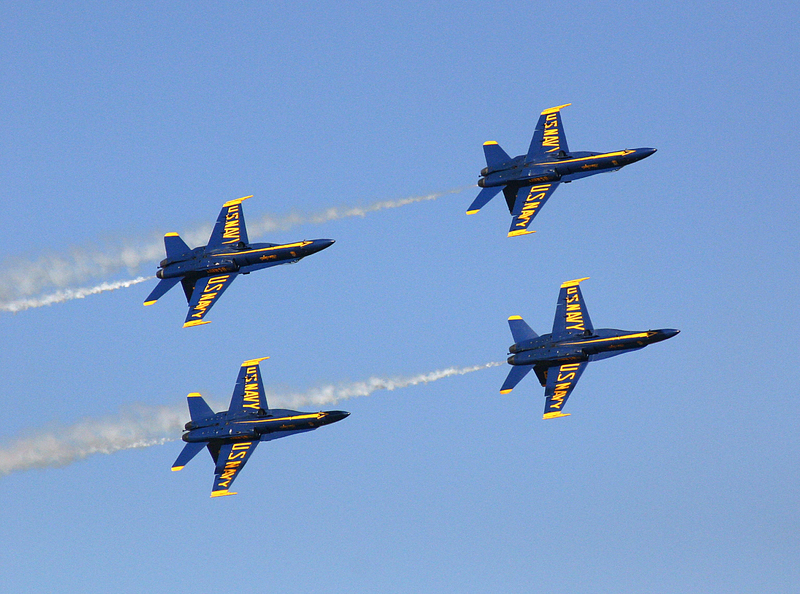 I’ve been fortunate to see the Blue Angels fly a couple of times through the years. 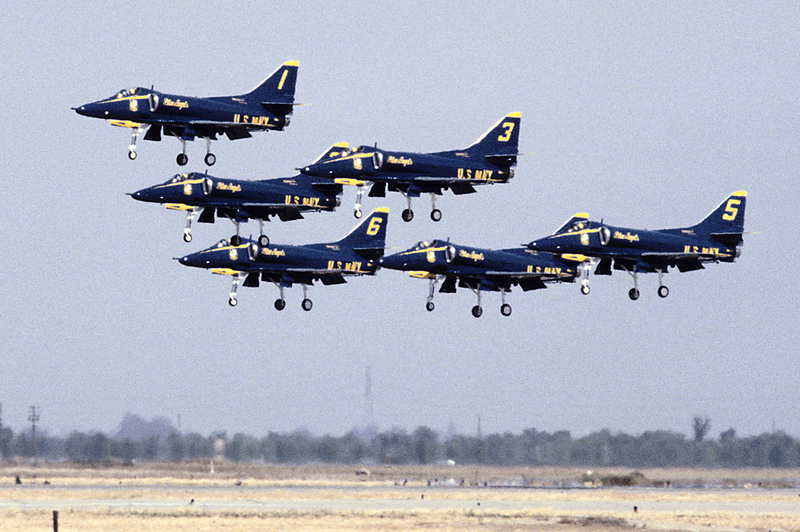 My first opportunity was back in 1987, the last year they flew the A-4F Skyhawk. 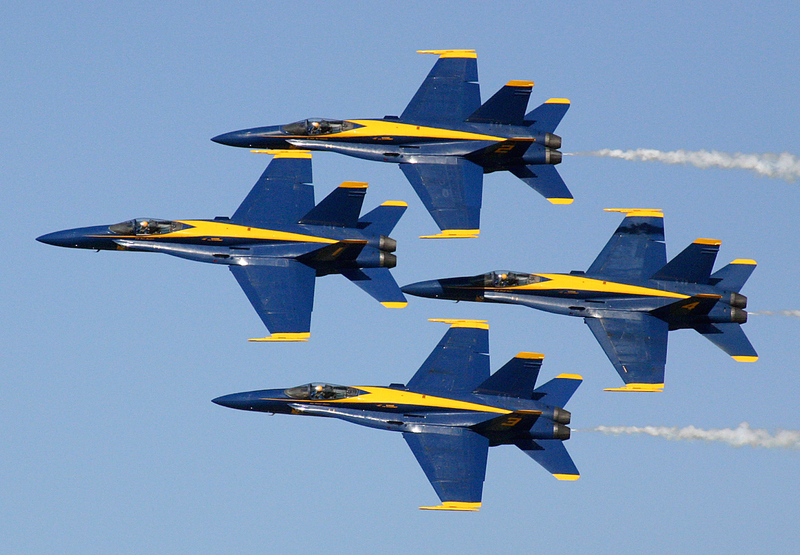 The next year they transitioned to their current ship the F/A 18 Hornet, a sleek twin-engine supersonic multi-role strike fighter. 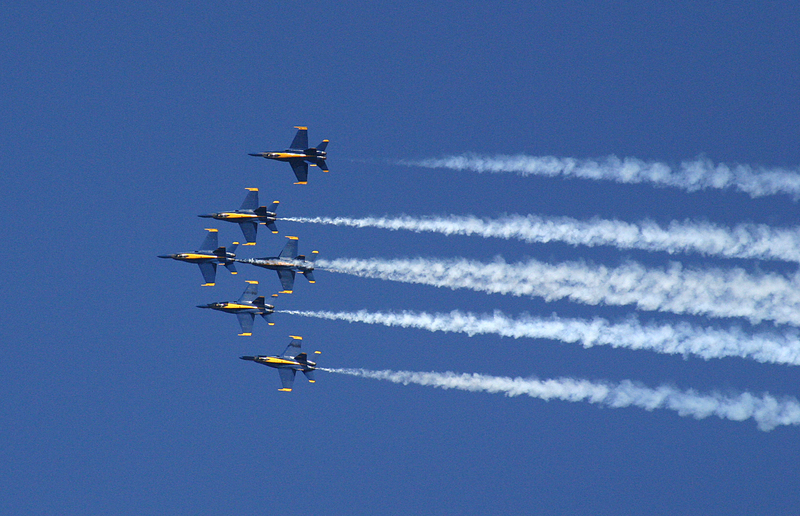 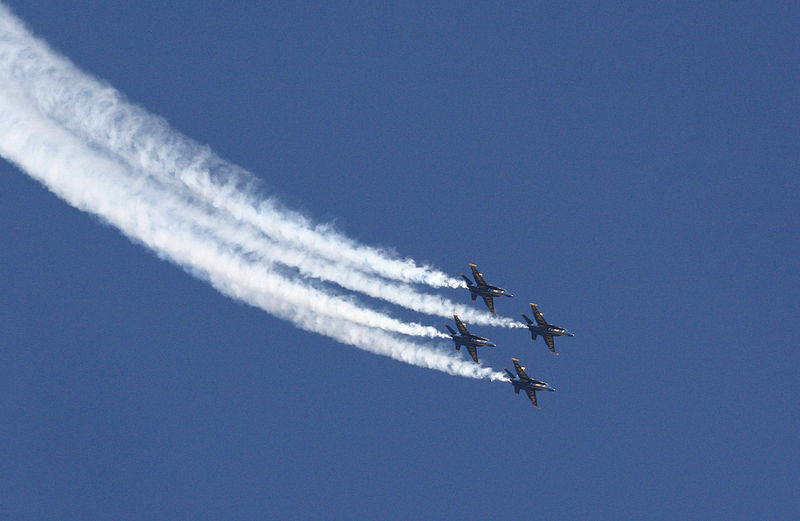 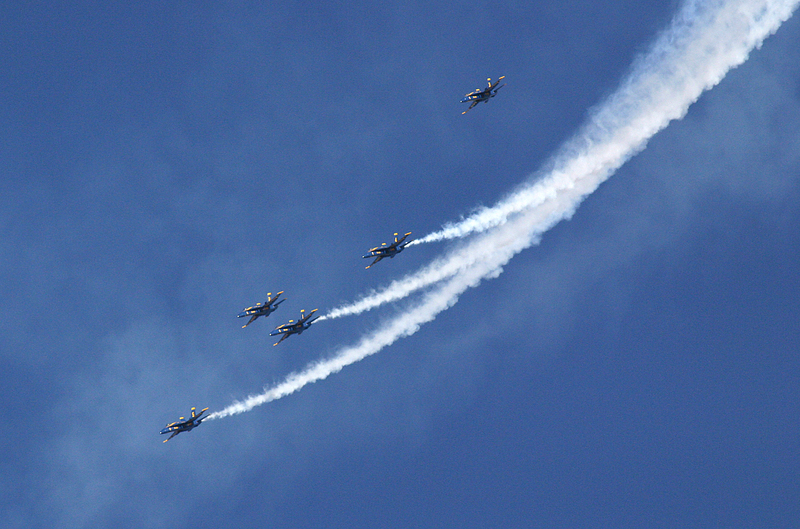 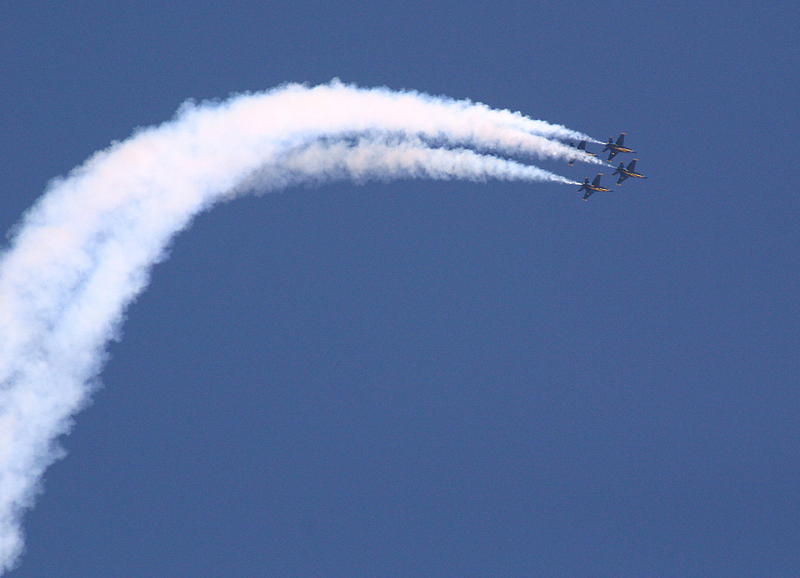 I’ve been to several airshows and have watched the top jet teams, the United States Air Force Thunderbirds, the Royal Canadian Snowbirds and the local Byron, California jet team Patriots and I can honestly say no performance comes near to the pulse-pounding display put on by the Blu Angles. 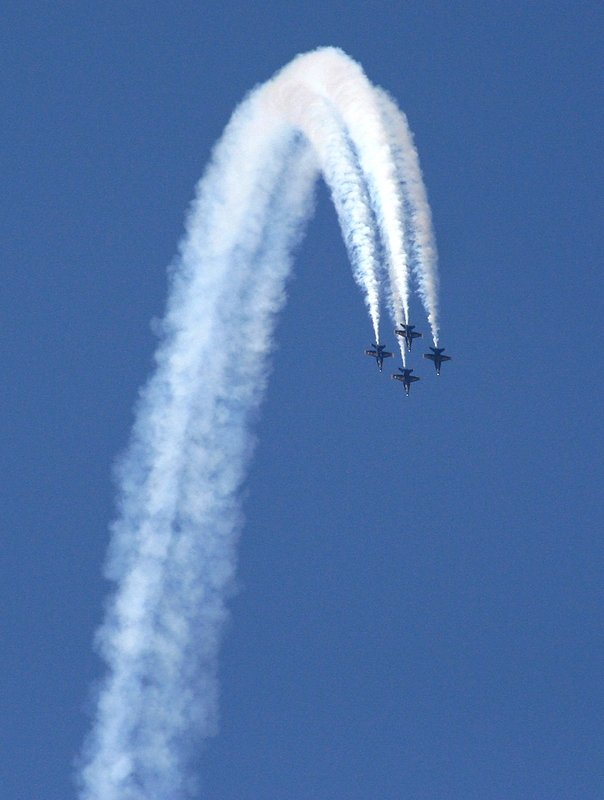 From your first time experiencing the surprise of the 700-mile per hour Sneak Pass to the beautiful Double Farvel maneuver the show is a spectacular display of precision flying at its finest. 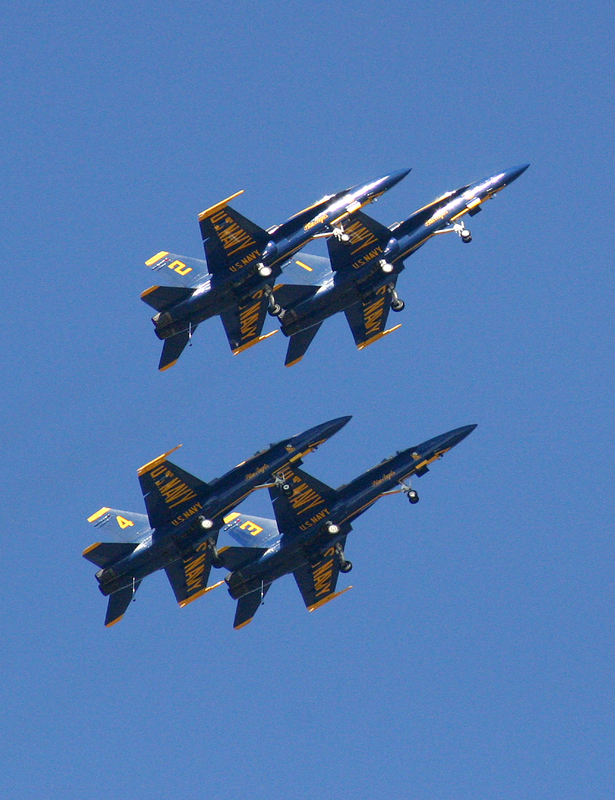 All the shows I have gone to I stand amazed as how such large jets can fly so close together so fast. 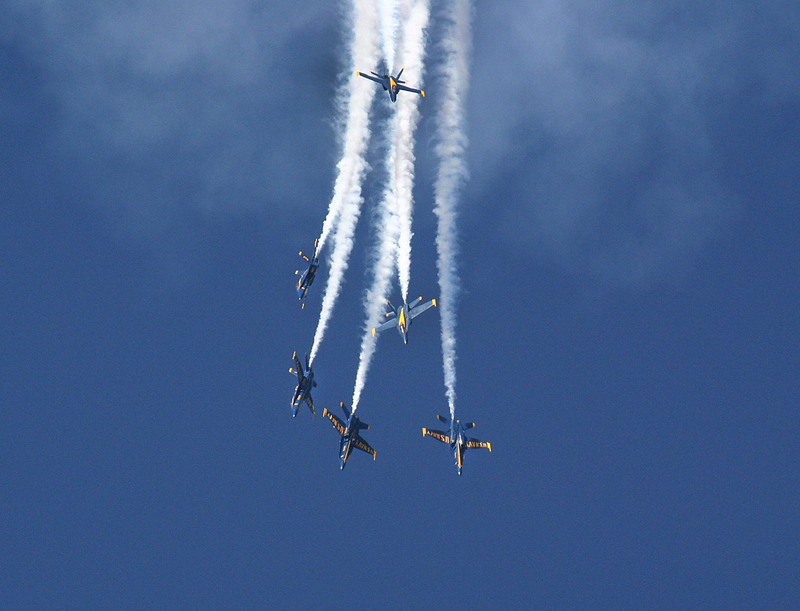 I always took pictures at their performances, first with film, going through rolls of Kodachrome and Kodacolor film and later filling my memory card with the dazzling aerobatic sights. 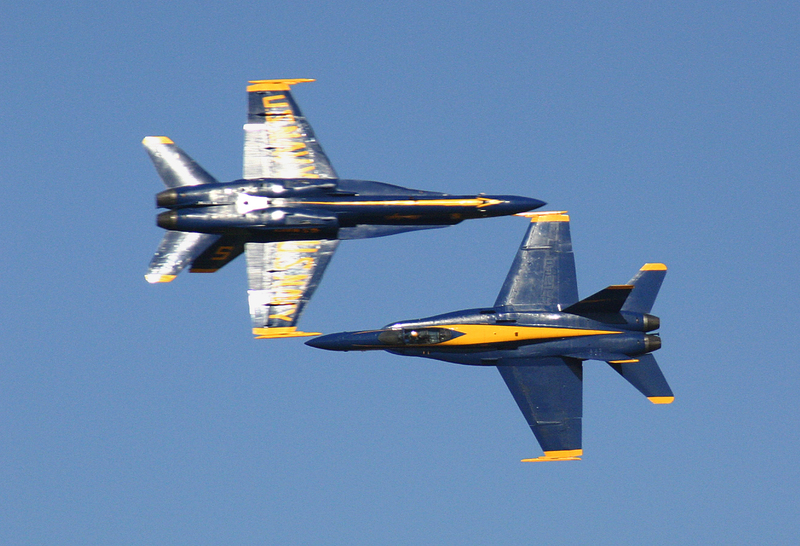 It became a personal challenge to capture a key moment of their show with my camera. 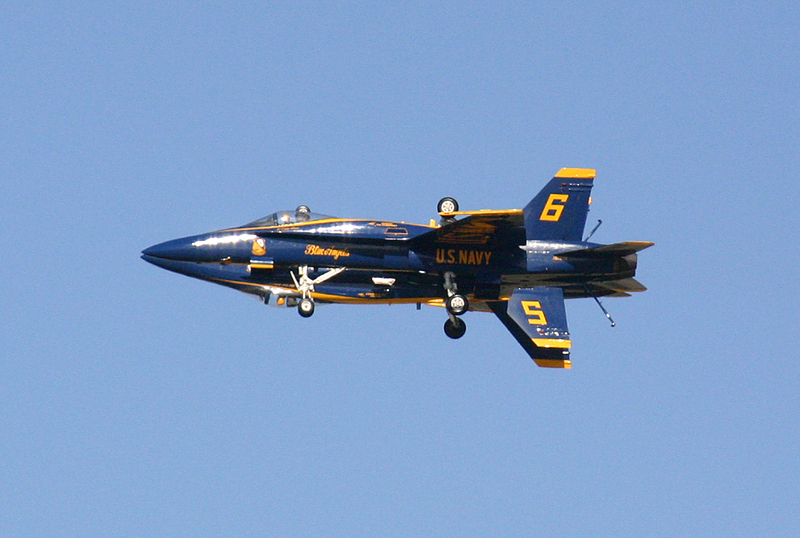 A copy of one of the two solo aircraft performing the Opposing Knife Edge Pass hangs on my living room wall. 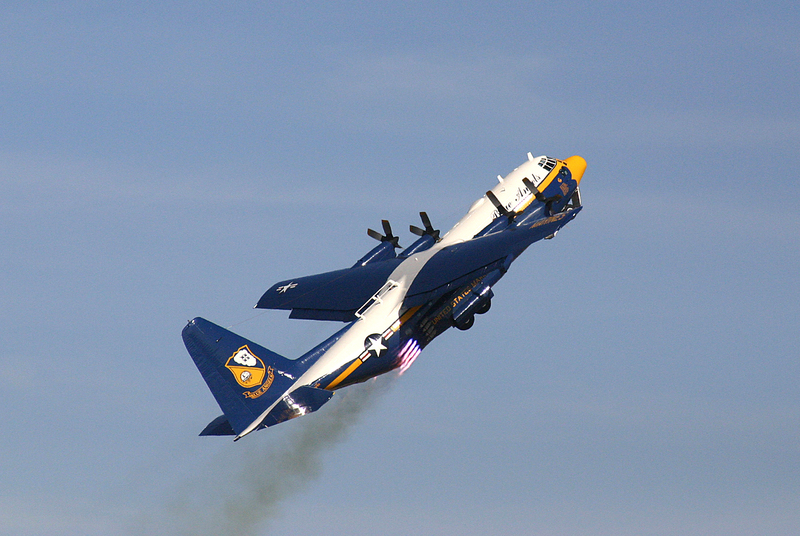 After the Blue Angel landed the pilots met fans and signed autographs for children. 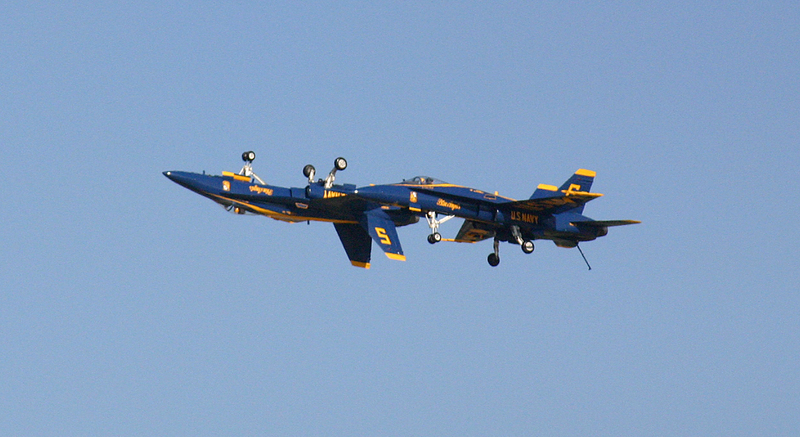 Thousands of visitors craned their necks to be inspired by pilots and dreamed of one day being in the cockpit themselves. 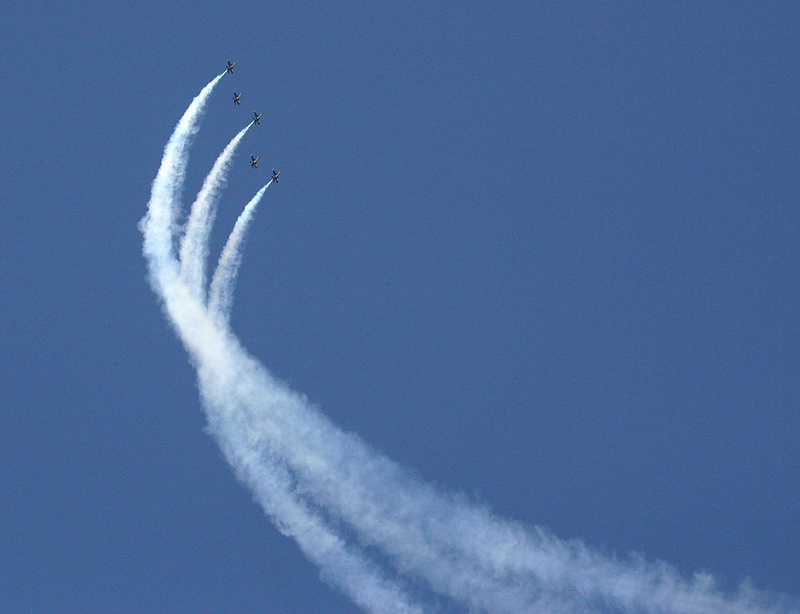 I hope this budget posturing is resolved soon and the pilots can once again take to the air to thrill and inspire a new generation.